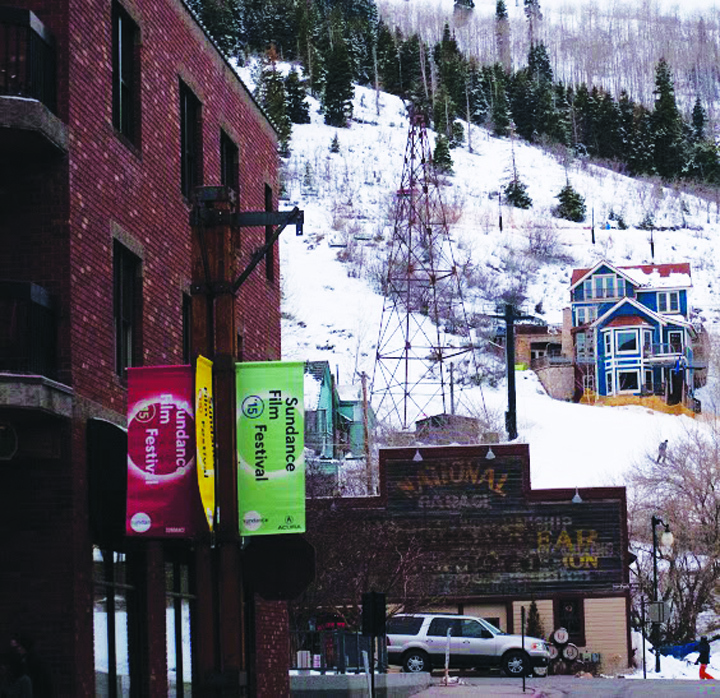 Hillsborough Community College recently sent its Hawkmedia Club to the Sundance Film Festival in Park City, Utah, for a week filled with fun, adventure, and a once in a lifetime experience. Kuvira Sanichara and Josh Brown, both locals to the Brandon and Valrico areas, were able to attend several documentaries, feature films, and explore the beautiful city that hosts the annual film festival. Situated only 30 minutes west of Salt Lake City, the town was filled with artists, filmmakers and beautiful scenery. Sanichara found herself in awe of the brightly lit city carved into the snowcapped mountains of Utah. “The festival wasn’t what anyone expected,” said Brown. We expected Sundance to be a huge event, and to some extent maybe it was, but it never felt that way by any stretch of the imagination. 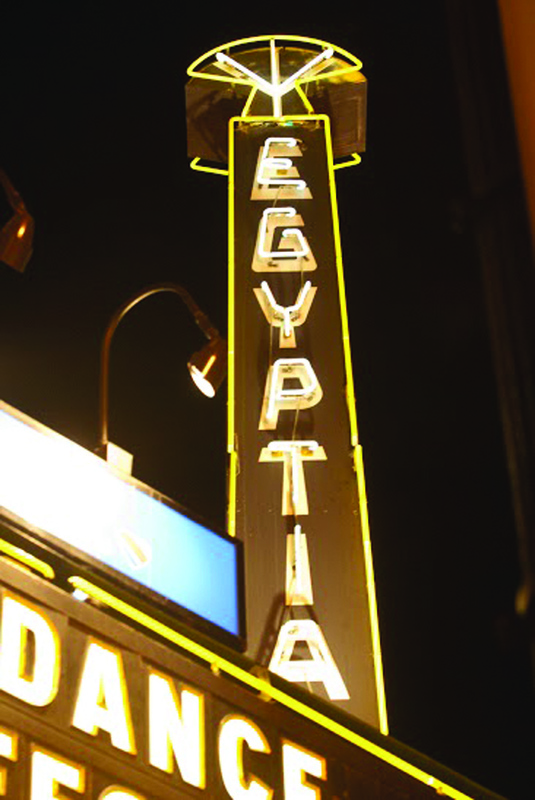 In the quiet city of Park City, there is no singular theatre designed to sit hundreds for premieres during Sundance. To our surprise, there were several theatres scattered throughout the town, the biggest being the Eccles, situated inside of a high school. Theatres fit around 150 people on average. “They were a lot smaller than we expected… it felt really exclusive,” said Sanichara. Everyone got the looming impression the people in charge of Sundance were literally fitting screens and a few seats into anywhere they could fit, according to Brown. The Russian Woodpecker happened to bring home the Grand Jury prize award. To our surprise, the crew and director for The Russian Woodpecker roomed next to us club at the Deer Valley Resort. To see how aspiring writers, actors, and directors could end up in this beautiful place, with a film that no one knows about, and to leave knowing people around the world will see it was an amazing feeling. Sanichara saw Chloro, an Italian drama, and several documentaries as well, including How to Change the World, a film on how Greenpeace was started. What was so inspiring for us, according to Sanichara, was the Q&A’s after the movie. A lot of the time the directors and producers would come out and take questions from the audience. When we weren’t going to movies, everyone was roaming up and down Main St.
“We all explored what was happening in the city,” said Brown. Musicians and artists flooded the streets once the sun went down, and the town lit up with vibrant lights and jovial spirits. HCC Hawk Media club were awarded this opportunity to attend Sundance after finishing a documentary showcasing the achievements of former president Jimmy Carter, community service, and what he has done for his home town of Plains, Ga.
Sundance gave us a once in a lifetime opportunity to meet with accomplished people in an industry we all aspire to work in.